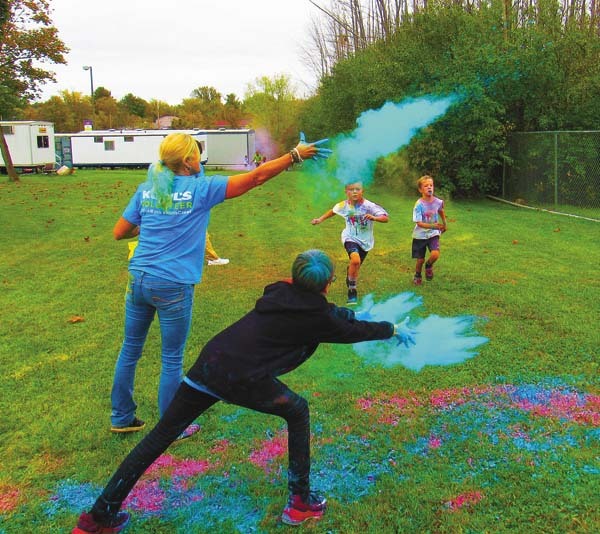 JOHNSTOWN — Colored powders are what impressed the kids the most. 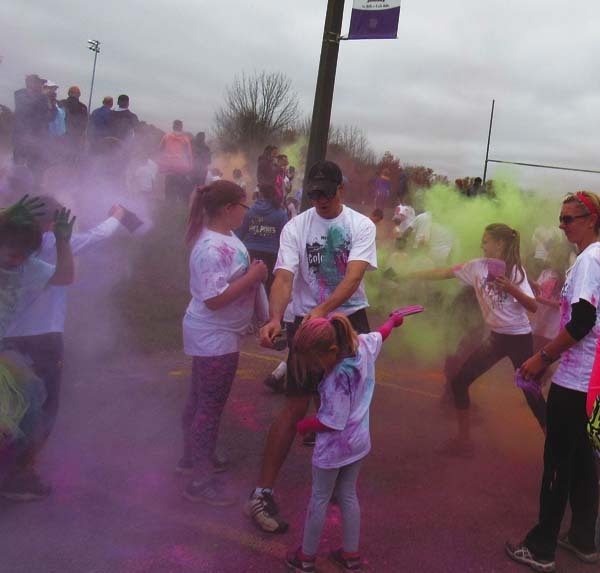 Elementary schools children, parents and staff were covered with multicolored powders they threw at one another during the second annual 3K Color Run/Walk fundraiser at the city’s high school fields Saturday. 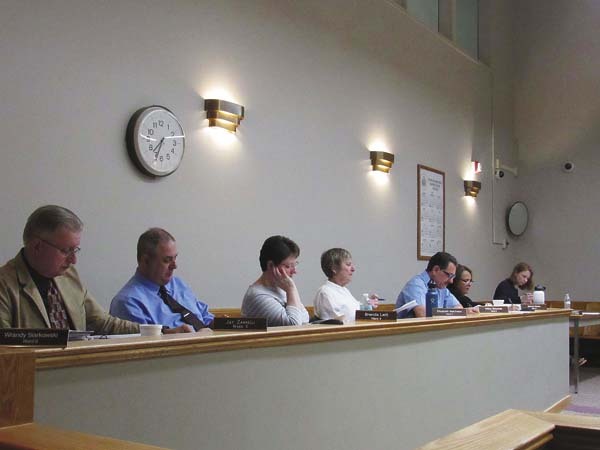 Just as exciting for the elementary schools’ Parent-Teacher Association, which sponsored the event, was the money to be raised for enrichment programs. “We’re hoping for more than $10,000,” said Abby North, principal of the Glebe Street Elementary School. 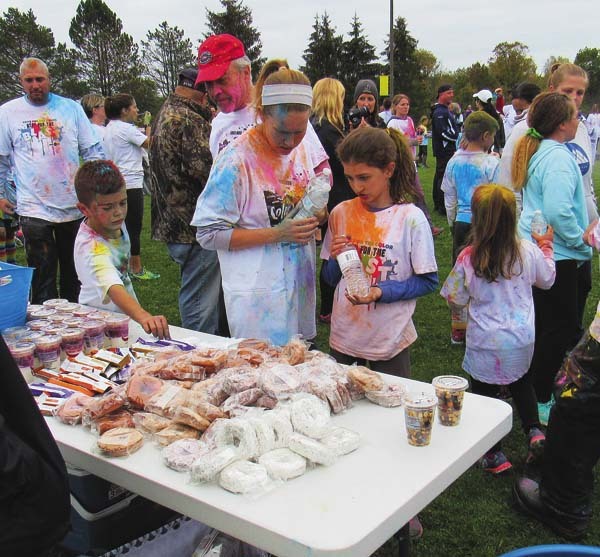 Besides the $30 each that the more 350 participants paid, she said the PTA won’t know the final amount until the raffle proceeds and donations from individuals and businesses are tallied. 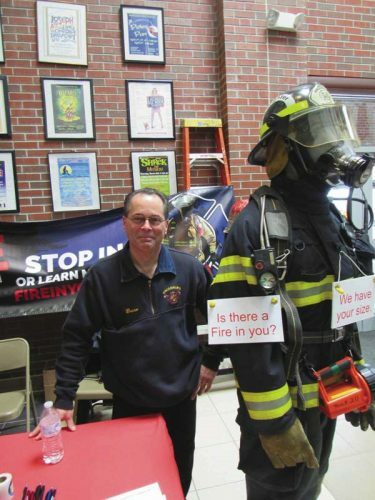 “It’s something for the schools and the community, for all the family to do together,” said Glebe parent Jill Bulger. Pleasant Avenue Elementary School teacher Rachel Harrington said the event is something children and parents look forward to and something that includes exercise. “It’s an activity, not just buying” as fundraiser, she said. 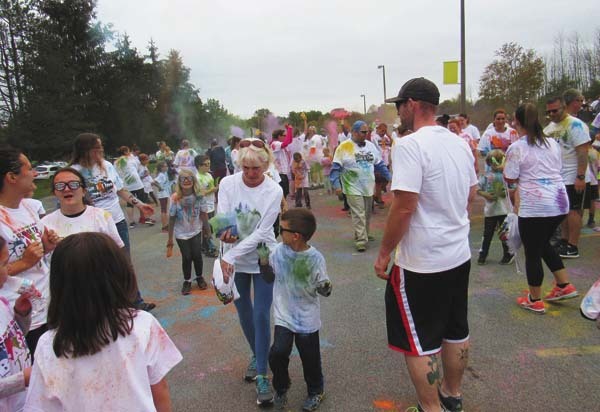 The proceeds of the event will “help our kids with literacy and enrichment programs” that go beyond regular classroom instruction, said Nicole Lent, principal of Warren. “Excellent readers programs are in all our schools,” said North. She said enrichment includes education in values such as respect and responsibility as well as clubs and activities such as lacrosse, soccer, robotics, puppet making or nature walks, depending on the school. Enrichment programs are in high demand, so that students have to take turns to get into them, said Harrignton. “So many people want to sign up for enrichment,” she said. First grade teacher Nicole Davis said her daughter, Harper, enjoyed the chorus enrichment program. “I love to sign,” said Harper. She named “How Much Is That Doggie in the Window” as one of her favorites. After the participants finished the Run/Walk, they had tables of goodies and drinks to choose from.